« TSM Braziers – with Effects! We’ll start with the cheapest one: the Tacked Wall Mirror for $50. screenshots, nor were any threats made involving trebuchets. I’m not Jaime Lannister. 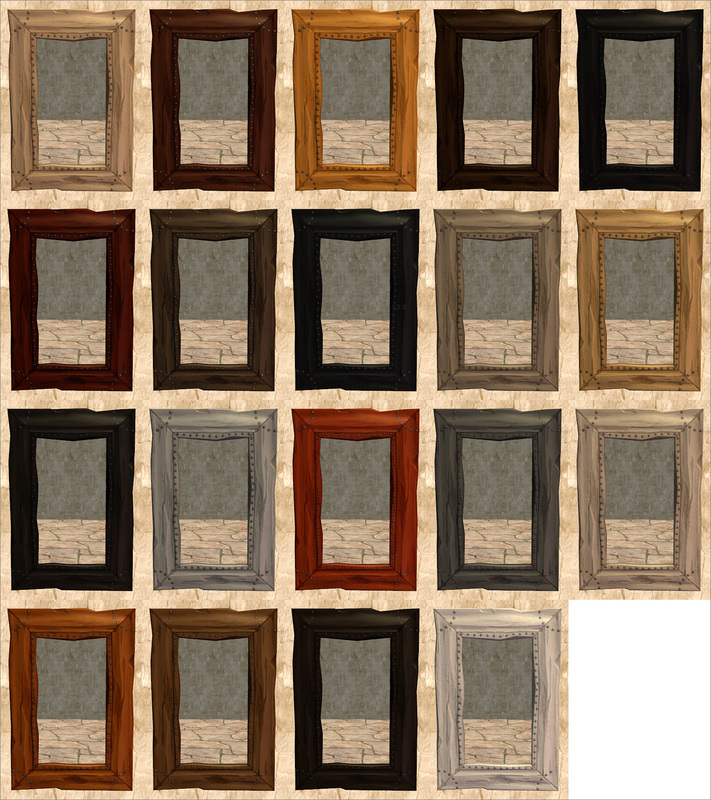 The frames of all the mirrors come in Pooklet’s eighteen naturals + Time Bomb. Oh, and all the frames have been bump mapped, even if it isn’t always obvious. Then you have the Conciliator’s Chamber Mirror for $65. Next up is the Polished Shield Glass for $73. Then we have one of my favourites: the Graffenschaft Face Reflector for $120. The lighter recols look the best for this one; the alpha didn’t work as well with the darker ones for some reason. Next we have the Guiltwood Dressing Mirror in Lococo Style for $165. This is the second mirror that doesn’t have Pooklet recols, but rather six ACYL ones. Then comes the first of the two tall mirrors: the Burdley Revival Wall Mirror for $185. And last but certainly not least, we have the Pinacello Fluted Wall Mirror for $250. This entry was posted on 22 October, 2013 at 20:27	and is filed under BUY MODE, CONVERSIONS, Decorative, DOWNLOADS, Medieval-ish, Objects, THEMES, TSM. You can follow any responses to this entry through the RSS 2.0 feed. You can leave a response, or trackback from your own site. 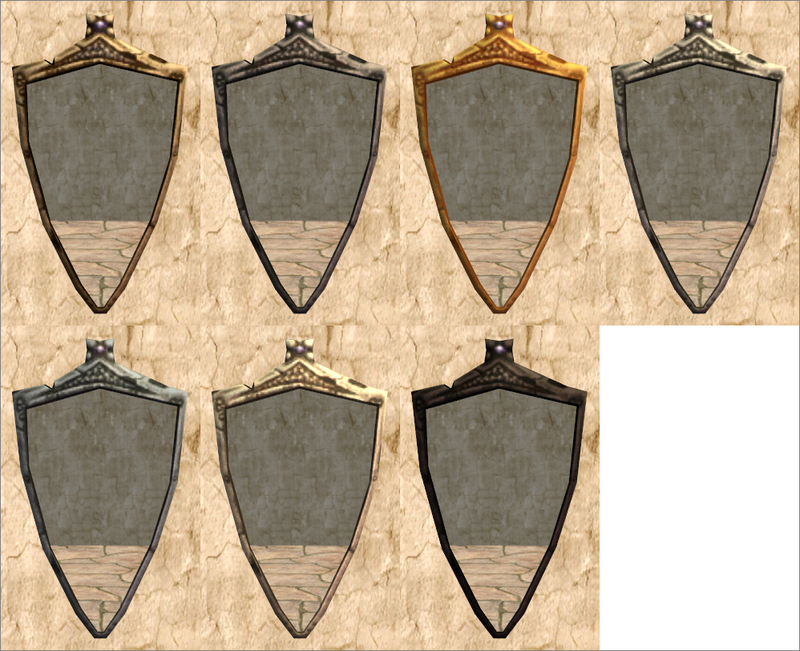 *-* I don’t play a medieval game but I’m definitely going to play a medieval mirror game now. They are gorgeous, thank you very much for all the conversions in such perfect colors! How can such an elegant presentation be hilarious also!?! Fav is Graffenschaft Face Reflector, too. Thanks, Johanna! Hee, thanks! 😀 It’s self-preservation, really; with all the screenshots I had to take for this (almost 160! ), I had to amuse myself somehow lest I die of boredom. 😛 And I want a Face Reflector IRL, I just love that one! Oh, YES. Yes, yes, yes! 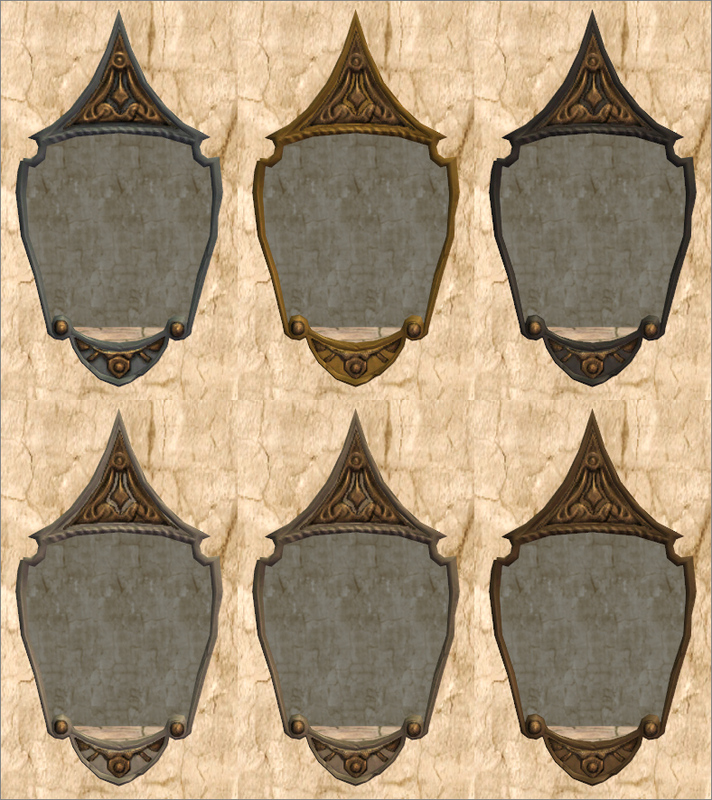 I can always use more medieval mirrors! Thank you, Nix! Thank you for sharing these, they are lovely! You’re very welcome. 😀 I’m glad you like them!